Chain-link fences have always been popular forms of property protection. Whether you want to block off an alley between buildings, deter thieves from parking lots, or border a secret government facility, chain-link fences have always been able to provide sturdy, resistant, all-weather support. As one of the most affordable fencing options on the market, chain-link is ideal for any number of purposes, budgets, and businesses. 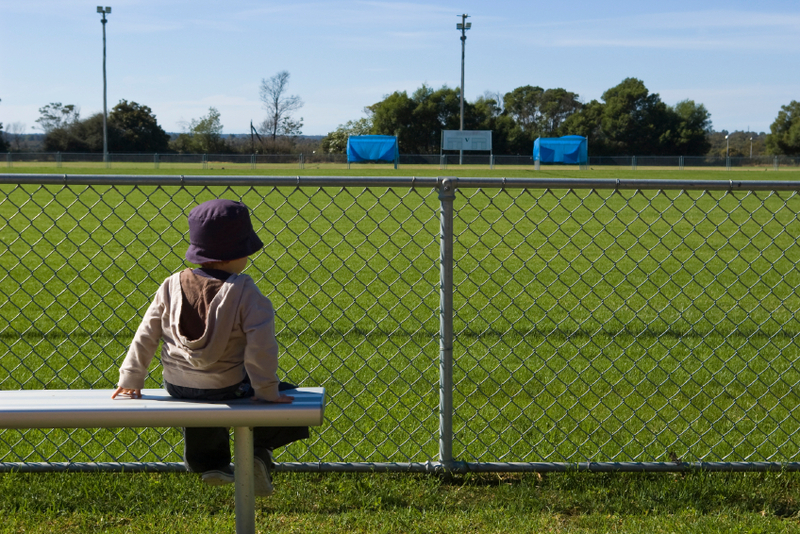 There are a number of reasons why investing in a chain-link fence would be beneficial. The reasons vary from structural to stylistic to budgetary, but here we’ll focus on some of the key benefits of chain-link fencing. Chain-link fences are made of either galvanized steel or vinyl and are built strongly to withstand the weight of these materials. With the right quality material, not only can chain-link take its fair share of abuse, it can be left standing in even the harshest weather conditions without faltering. Chain-link is also rust resistant and low-maintenance. Chain-link fences are normally easy to see through, but vinyl slats exist that can turn them into barriers to encourage privacy. This allows you to customize your fence in whole or in part to a site’s visibility needs. Chain-link fences come in varieties. Some are large, sturdy barriers meant to protect sites for years on end while others are smaller, more flexible, and meant to be set up quickly for short-term needs. Between these two ends exists a lot of wiggle room to get the best fence for your particular requirements. Depending on the location you plan to erect your chain-link fence, there are certain things you’ll have to consider like size. However, there are certain characteristics that everyone should always be aware of when it comes to choosing chain-link. The gauge is the amount of steel in the fence’s chain wire and is an indicator of quality and strength. When looking at gauge measurements, it’s important to remember that the lower number means more steel and strength. Most chain-link fences come in gauges ranging from 13 to 6. The gauge you choose is going to depend on what you’ll be using the fence for. A 13-gauge fence isn’t as strong but is going to be much more flexible and better for closing off areas while withstanding collisions from rambunctious children or pets. For conventional, everyday fences however, you can usually get by with an 11- to 9-gauge fence, with 6 being best for heavy industrial or otherwise specialized uses. This determines how far apart the wires are and, consequently, how large the diamond openings are too. Mesh sizes range from around 2-3/8 to 2, but can go down as far as 3/8 for cases that warrant extra security (like pools or prisons). Unless you think you may end up with a trespasser or escapee problem, you can usually stick with the 2-3/8 to 2 range. Most chain-link fences, especially those on commercial or industrial properties, make use of security features to better deter intruders and protect the fence itself. For instance, a common feature in industrial fences is sets of horizontal rails placed along the fence to provide additional reinforcement. For fence-top security, measures can range from barbed wire to razor coils (assuming you get approval). Buried meshes are also regularly used to prevent anyone from trying to get underneath and bypass your protections. The expert contractors at Total Fence Inc. provide residents, businesses, and industries of the Greater Toronto Area and beyond with quality services in fence repair, design, and custom carpentry. Our professionals are among the best in their field and are committed to quality in all efforts. To learn more about our fencing services, or to get a quote, feel free to contact us at info@totalfenceinc.ca.